Like every other blogger on the planet, I am a total candle obsessive. There’s nothing I like more on a chilly, Autumnal Sunday afternoon, than to fill the house with Christmass-y candles, turn the lights down and transform the house into a cosy, comforting, winter spice smelling wonderland. As I mentioned in a previous post however, I have rather expensive taste in candles, and then I just can’t bring myself to burn them. I have an Anthropologie Christmas Tree candle from three years ago that lives on my shelf gathering dust (but smelling pretty lovely whilst it does so) because it cost about £20 and I can’t bear to literally burn money! Because I like to have candles on the go basically throughout the entirety of Autumn and Winter, it’s a pretty expensive habit to maintain. 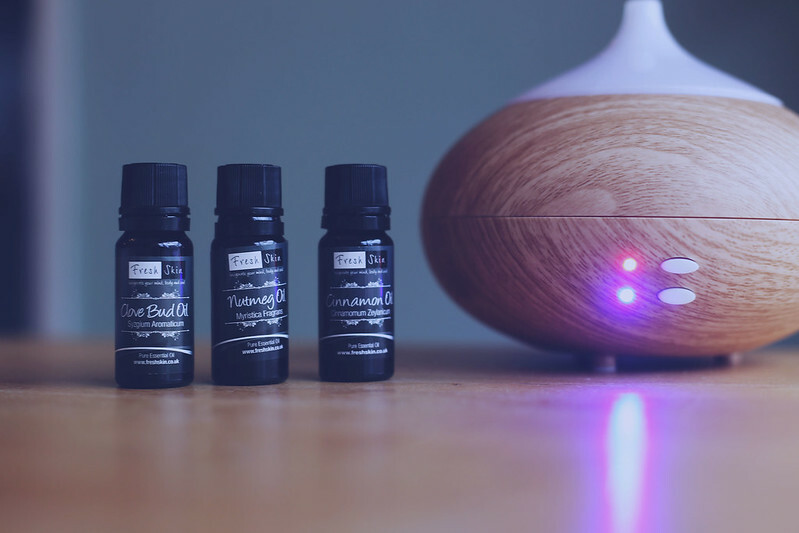 So when I spotted a set of ‘recipes’ on Pinterest for mixing aromatherapy oils in a plug-in diffuser – and I then discovered that you could buy pretty reasonably priced diffusers that also look really nice sat atop a table in your lounge – I was sold. I bought all of the oils from Fresh Skin – I bought them from their eBay account but they have a website with all of their essential oils on which is probably easier than buying eight individual oils like I did! 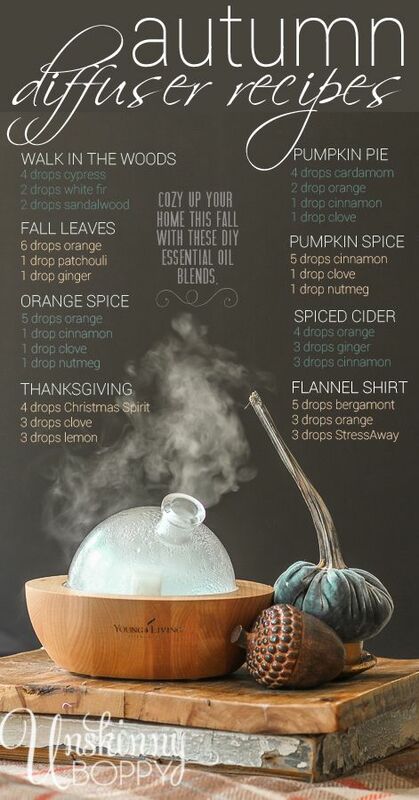 My favourite mixes are those with the Cypress Oil in as it smells like evergreen trees and is really forest-y. 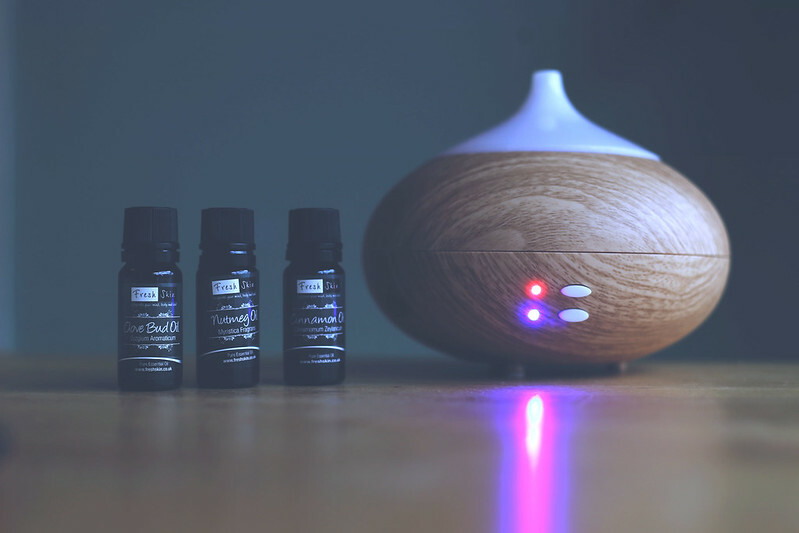 I add more than it recommends in the ‘recipe’ above – cypress oil, orange oil, cinnamon oil and clove oil is my favourite mix, and I usually add three or four drops of the last three and then five or six of cypress oil as it’s my favourite scent. It really does smell like Christmas, but considering the oils cost about £2 a bottle and you only need a few drops, it’s significantly cheaper than feeding my burgeoning Yankee Candle addiction. 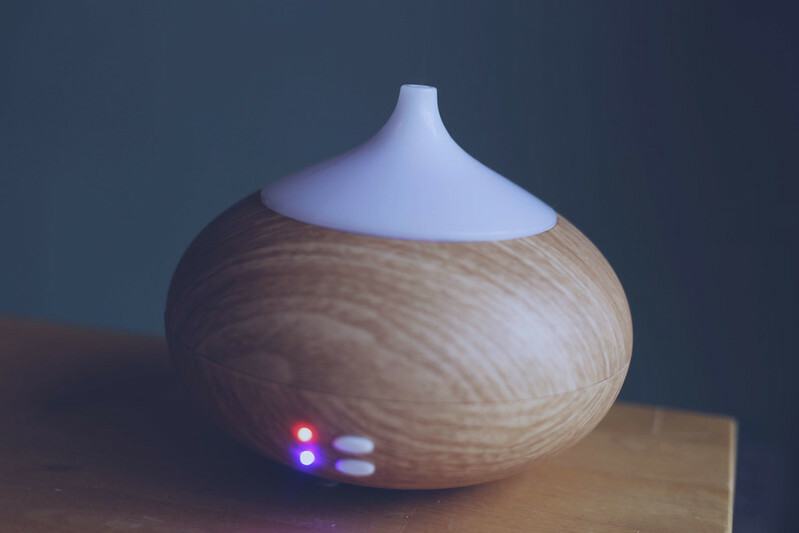 Have you tried aromatherapy diffusers before?